She wrote a book titled ‘The Most Beautiful Woman of the Century.’ It was an autobiography. 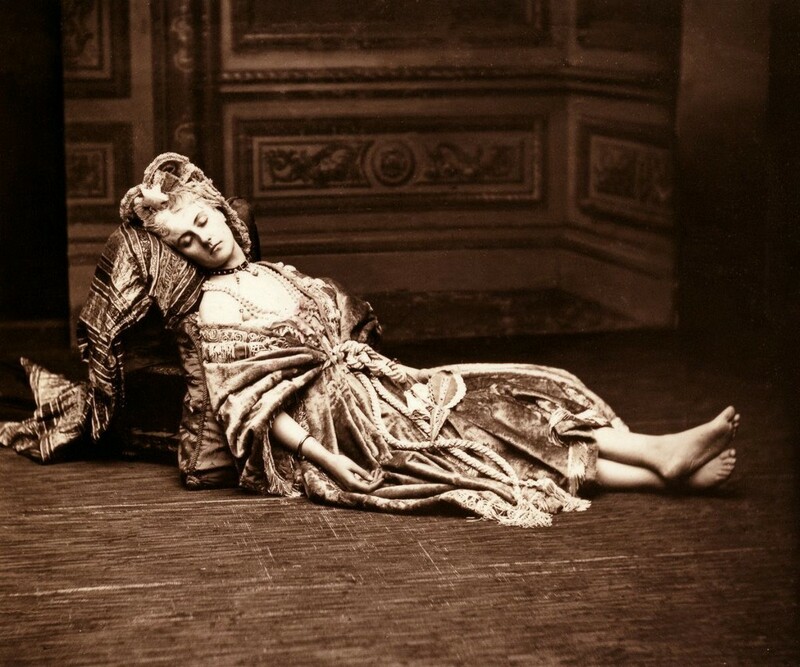 So arrogant was the Countess de Castiglione that she once made an entrance to a ball draped on the emperor’s arm dressed as the Queen of Hearts. “The heart is a bit low, Madame,” the empress famously mocked. 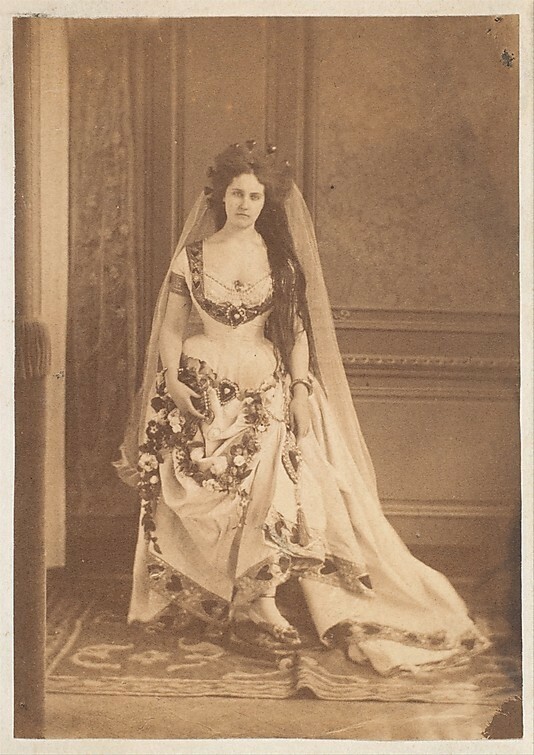 At gatherings the Countess refused to speak to women, “would appear like a goddess descended from the clouds, and allow people to admire her as if she were a shrine.” Perhaps most tellingly, she began writing a self-retrospective titled “The Most Beautiful Woman of the Century.” She wouldn’t live to finish it. 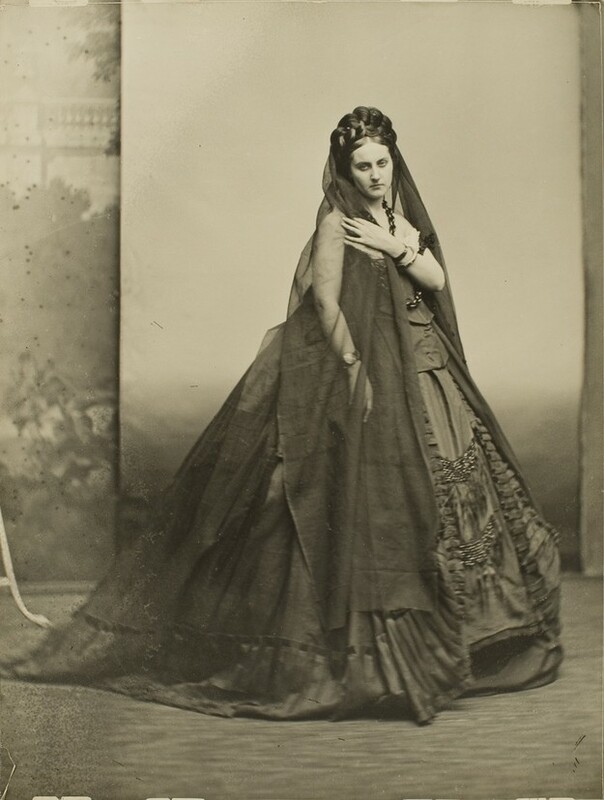 But we may not have known about (and certainly wouldn’t have cared enough to discuss at length) the Countess de Castiglione if it weren’t for her lifelong relationship with the camera. 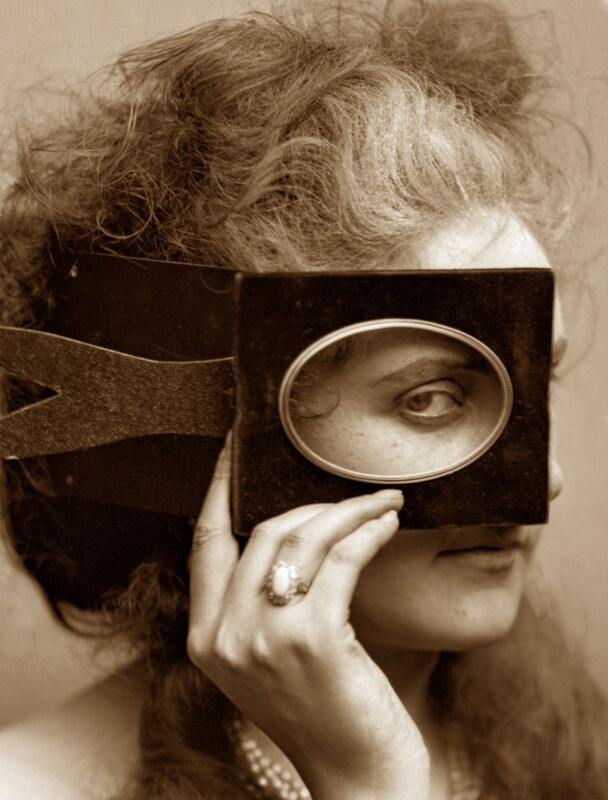 Over the course of a relatively short life, the Countess had over 400 photographs taken of herself by Pierre-Louis Pierson. 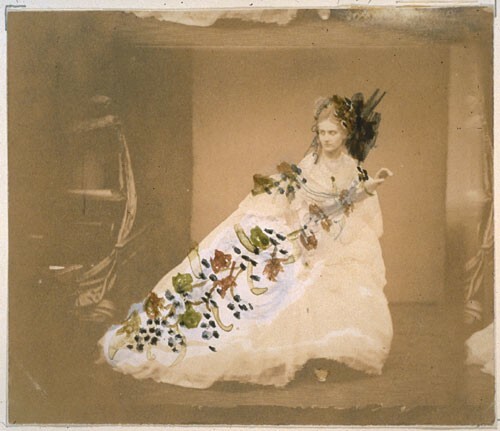 Rather than be a passive subject, the Countess acted as art director for her selfies, choosing her costumes, poses, camera angles and what we’d now call “post-production processes.” She was no stranger to taking paintbrush to image to transform and embellish. In other words, she was the original Selfie Queen. This is where I would have to disagree and call upon another, more contemporary Selfie Queen, whose name has been dragged as a narcissist throughout her career — as though appreciating yourself makes you some kind of vapid egomaniac. 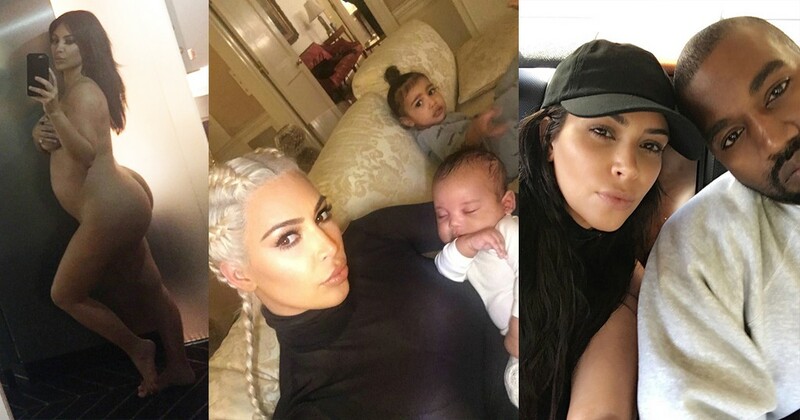 Her name is Kim Kardashian. Considering that, it seems to me that Countess de Castiglione predated Kim by about 150 years. 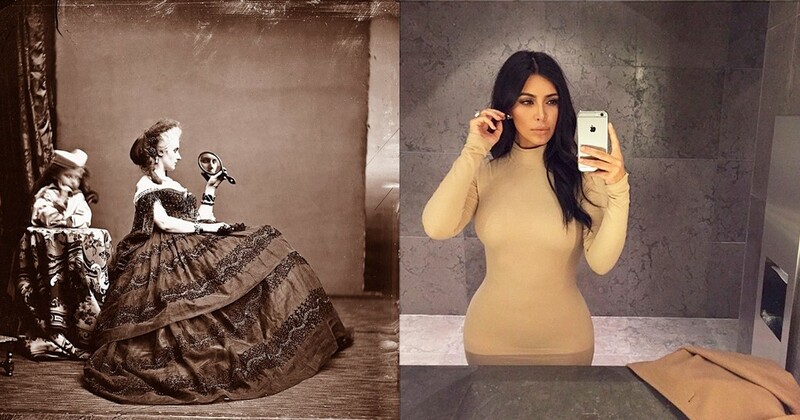 Perhaps the Countess and Kim offer the world nothing but a vapid assemblage of self-worship. Or maybe — even if only subconsciously — each produced a covertly feminist work of art, acts of reclamation by the world’s most talked about and photographed women, respectively. 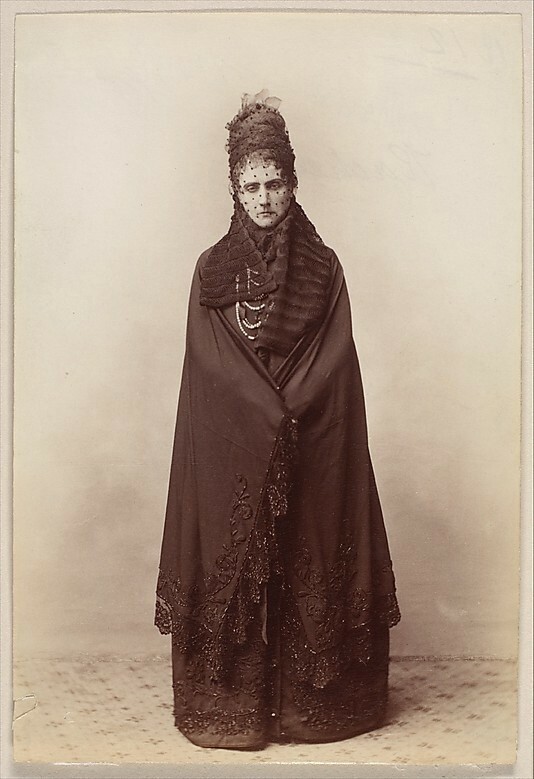 The Countess’ early photographs drew on characters from mythology, Biblical symbolism, literature. She is Queen Anne Boleyn, Queen Eritrea, a corpse, a nun. Her favorite prop is a mirror. To call her merely a “raging narcissist” seems unfair at best, irreverent at worst. The Countess’ progression is different. It’s raw and disturbing, in images cataloguing mental deterioration and instability. By this time — meaning 1870 — the Countess disappeared from society. She kept no mirrors in her house, the walls of which were painted black. She only stepped outside while veiled and under the cover of darkness. 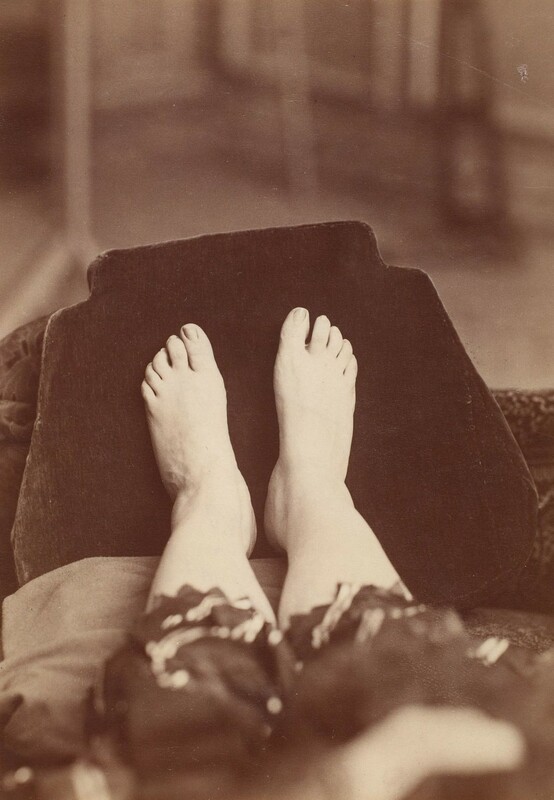 Whether a lifetime of unparalleled vanity or a sick mind were responsible for the Countess’ unwillingness to accept time’s steadfast march is impossible to say. We know that for 25 years she hardly left her house and when she did, it was to document her own disintegration. Like I said — tragic. If this seems like a defense of the selfie, it is. Can you blame a girl for wanting to be remembered on her own terms?